Review: I had conflicting feelings about book 1 in this series and I'm happy to report that book 2...was one of the BEST books I've read this year. I loved it! Feyre is experiencing major depression when the book starts after what happened with Amarantha. Tamlin, unable or unwilling to see that she is wasting away, decides keeping her locked up in the house and not sharing intel with her if the best way to deal with things. 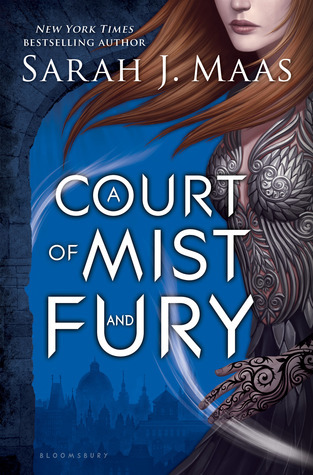 Luckily, Rhys decides it time to call in his bargain with Feyre and she embarks on a journey in the Night Court. 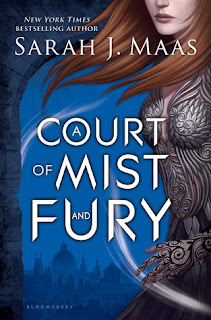 We are also introduced to Rhys' inner circle in the night court and I loved all of them. I also loved...well, Rhys. I thought he was one of the best parts of book 1 and he certainly didn't disappoint in this installment. This book also had a fabulous ending, I cannot wait for book 3 next year!